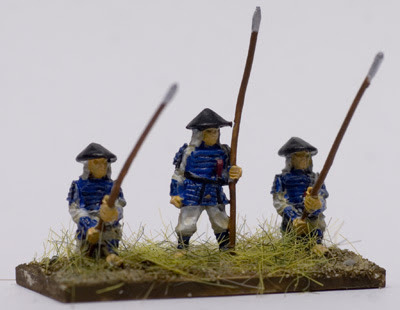 I have put together a Japanese army for a DBA campaign at the club. We are using some modified rules to add teppo as Shot - basically Bow with factor changes. 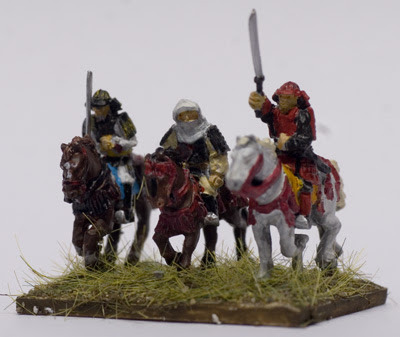 Here are some photos of my army. I will be playing Uesugi, who was a monk. 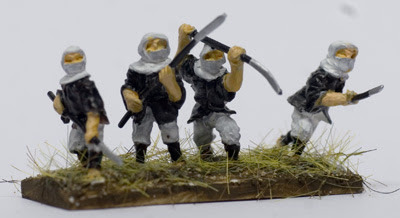 Accordingly his blade entourage are naginata wielding sohei. The campaign is yet to start, but I plan to post some results. 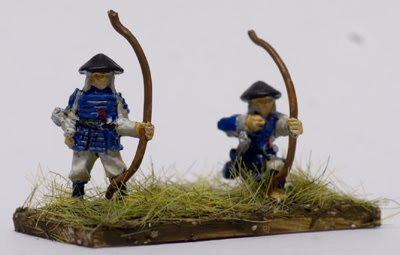 The centre figure is Uesugi, made with a head swap from a sohei figure.